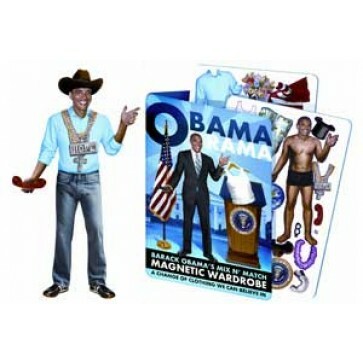 You may not be able to tell Obama how to run the country, but now you can control what he wears with our Obamarama Magnetic Dress-Up Kit. 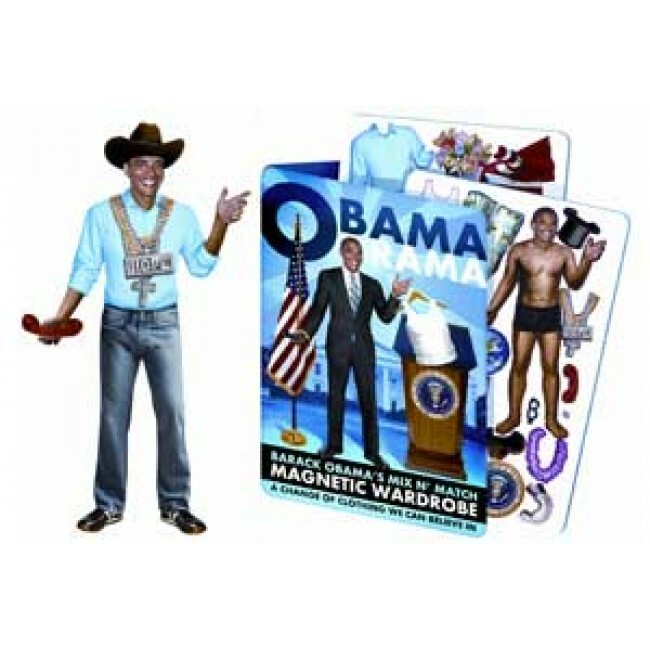 You get a large magnetic Obama doll along with an impressive assortment of clothing and accessories. You'll find clothing, hats, jewelry, presidential seals, and tons of other things. Make Barack look formal or casual, presidential or silly (if there's a difference). It's up to you. Finally, a change of clothes you can believe in!